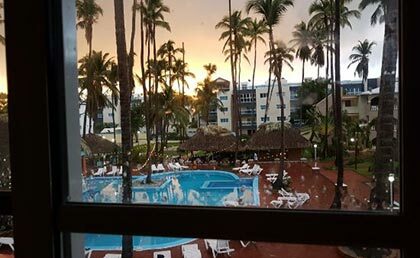 The Cortecito Inn Bavaro is a small bed & breakfast hotel located at 2 minutes of El Cortecito Beach in Bavaro, Punta Cana in the East of the Dominican Republic. The hotel offers rooms equipped with cable / satellite channels, a refrigerator and a shower, as well as all the essentials to ensure a pleasant stay. 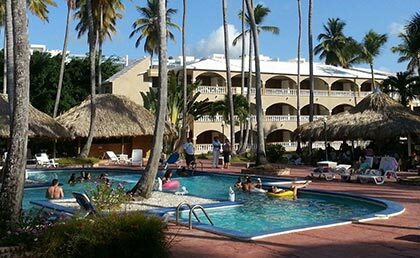 Hotel Cortecito Inn Bavaro has a restaurant and a bar, where guests can relax at the end of the day. There are a variety of breakfast options available every day. 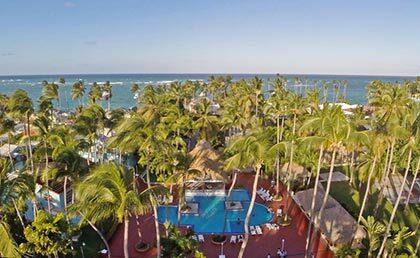 The hotel is a convenient base for exploring the nearby Punta Blanca golf course and Iberostate Bavaro Golf & Club, as well as everything the local area has to offer. Veron and Hoyo Claro are also just a short drive away. The hotel offers its guests free Wi-Fi. 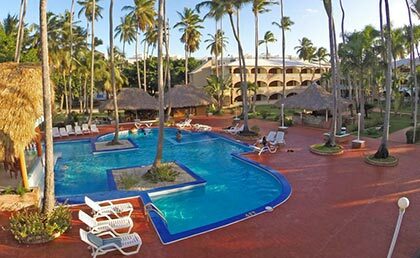 This Cortecito Inn Bavaro hotel is a 2-minute walk from the beach. This hotel offers free Wi-Fi, a car rental service, a tour desk and a furnished terrace with a pool. It is 200 meters from El Cortecito Beach and 10 km from Manati Park. The rooms have minimalist Caribbean-style décor and are equipped with air conditioning, cable TV, a refrigerator, a private bathroom with a shower and a balcony with views of the pool or garden. 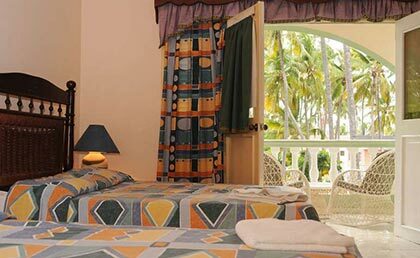 Hotel Cortecito Inn Bavaro has 2 restaurants: Flamboyan, which serves local food and seafood, and Palmas San, which offers international cuisine. The property is a 10-minute drive from Cocotal Golf Course, 10 km from Plaza San Juan Shopping Mall, 5 km from Bavaro Beach and a 20-minute drive from Punta Cana International Airport. Bávaro is a great option for travelers interested in excursions, water sports and outdoor activities. Restaurant Flamboyan: it serves local food and seafood. Restaurant Palmas : it offers international cuisine. 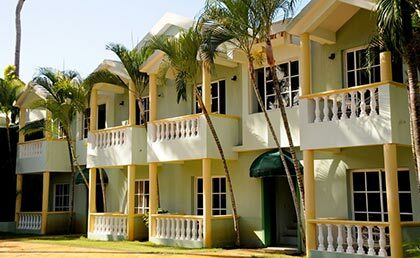 The hotel Cortecito Inn Bavaro has 42 rooms located in 3-story buildings, has standard double rooms, Superior Double Room, Economy Room and Family Room. Balcony, Private bathroom, Shower and bathtub, hair dryer, TV, Cable TV channels, Desk, Wifi (with charge), food and beverages, Refrigerator, daily room cleaning, safe in the room.